This story depicts some of the practices that form part of living in a village. I grew up in my village learning about the existence of witchcraft and those identified to be practising it would often be ridiculed and abused. 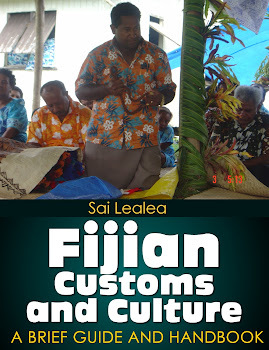 It is a past practice in my country of Fiji associated with our traditional gods before the arrival of Christianity in 1835. The article below indicates the persistence of the practice in modern day Fiji, especially in villages. In this article, my High Chief is clearly wanting its eradication from village life to ensure people can get on with daily life without the curse from the effects of witchcraft hindering their progress. It is also contrary to the active and widespread practice of Christian worship in my village and province in Fiji. I am therefore fully supportive of the call by my high chief. A paramount chief wants people practising witchcraft in his province to be identified.Tui Cakau Ratu Naiqama Lalabalavu yesterday said it’s time to publicly expose devil worshippers. “I want people to know which part of Cakaudrove these people come from,” Ratu Naiqama said. He said people practising witchcraft had painted a very bad picture about the province. “This is a major concern to us and it should be taken seriously. 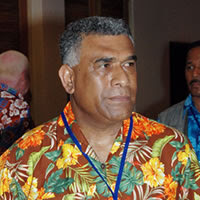 “The people need to know the number of people practising witchcraft in the province and the villages they come from.” Ratu Naiqama said Cakaudrove would not be blessed by God, if people continue to worship the devil. The outbursts came after concerns were raised during the Cakaudrove Provincial Council meeting at Somosomo, Taveuni yesterday. Council chairman Emitai Boladuadua has urged the people to refrain from this evil practise. Mr Boladuadua said whoever was found practicing witchcraft should be stopped because it has a huge negative impact on people’s commitment towards nation building. He said there was a great need for the people to work together and create an atmosphere that would be safe for the children and the people of Cakaudrove. A representative from Tunuloa, Samuela Qolikoro said the province would not succeed in terms of developments if they allow people practising witchcraft to live among them. He said people who practice witchcraft do exist in the province and everyone should work together to stop it. “People will not be blessed if they continue this practice. Not only that our land and efforts to succeed will be cursed.” Mr Qolikoro said.